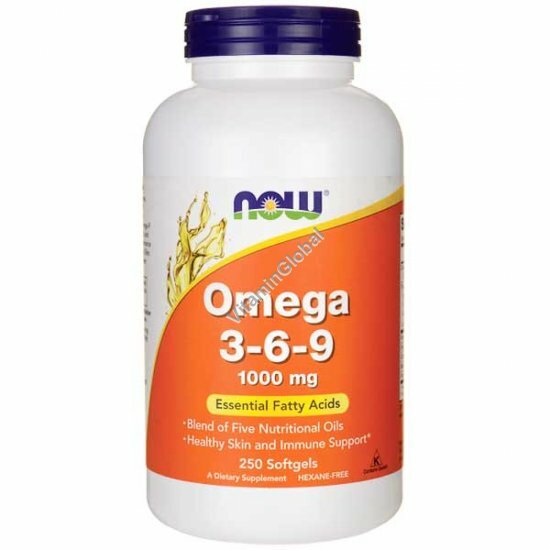 NOW Foods Omega 3-6-9 provides a balanced blend of two essential polyunsaturated fatty acids necessary for many body functions: Omega-3 oil from Flax Seed and Canola, and Omega-6 oil (GLA) from Primrose and Black Currant. Oleic Acid, an Omega-9 oil from Canola and Flax Seed, is a monounsaturated fat not considered "essential" but does play beneficial roles in human health. Suggested Usage: As a dietary supplement, take 2 softgels 1 to 3 times daily with meals.